In the Online Project Syndicate economist, academic and former Greek finance Minister, Yanis Varoufakis, succinctly analyses the pros and cons of a Basic Income and cuts right to the heart of the issue, how to fund it! Taxation is too controversial and the amounts involved are staggering. 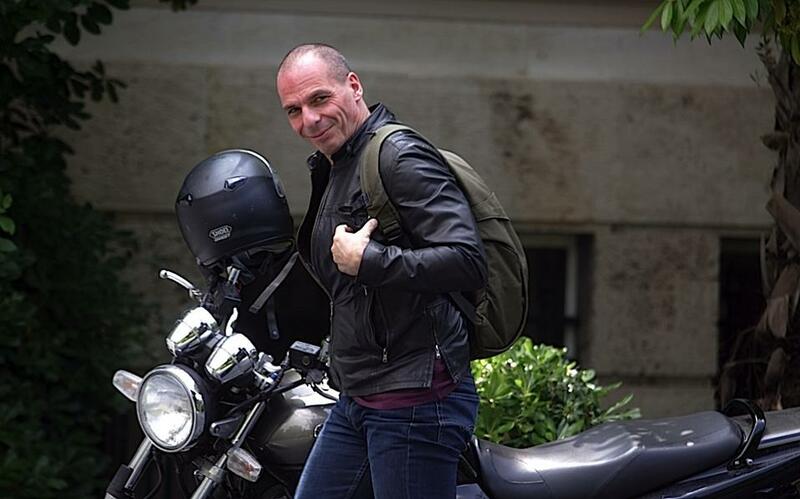 However Varoufakis suggests a fresh, creative solution. Every stock market Initial Public Offering becomes “public” because it involves a private company offering to “share” its profits with others from the public domain – much like the sort of 3P Private, Public Partnership, being considered by a number of governments around the world these days. In this way, every IPO can be considered an extension of The Commons, namely that which a community shares in common. Using a portion of every IPO to fund the nation’s BI offers an excellent opportunity for the population of the nation to both support and commonly share in that nation’s investment opportunities. Dave Clegg has written 16 articles. “Like the homesteading of land under Lincoln’s Homestead Act of 1862, the Capital Homestead Act is oriented to an open frontier — the technology frontier — which can and should be made equally accessible to all propertyless persons as a fundamental right of citizenship. This is the essence of the American Dream that inspired the lovers of freedom and justice everywhere. “The Capital Homestead Act is a proposal to provide a package of integrated income, gift, retirement and inheritance tax reforms, combined with monetary policy changes and other structural improvements to national economic policy. These are designed to provide every citizen an equal opportunity to own, control and share profits from productive capital. “The political rationale behind the Capital Homestead Act is that there is no reason that those who already have capital (and collateral to qualify for capital loans) should have a monopoly or be the exclusive beneficiaries of the government’s control over “social goods” like money and credit that largely determine who will own future capital. A political democracy cannot rest comfortably and sustain itself on a foundation of government-supported economic plutocracy. Decentralized wealth would counter the corrupting influences of concentrated wealth in campaign financing, as America experienced in its recent elections. “To address the growing wealth gap in market economies, Capital Homesteading would end the monopoly by those who already have capital (and thus collateral to qualify for capital loans) and who gain when the government fosters the creation of more wealth through extension of capital credit and tax incentives for investment. “Facilitated by the monetization of capital credit under Federal Reserve policy and reinforced by capital loan default insurance as a substitute for traditional collateral, Capital Homesteading reforms would enable every citizen to establish a tax-sheltered Capital Homestead Account (CHA) at a qualified local lending institution. “This would allow every citizen to purchase and accumulate dividend-yielding, full-voting shares to supplement retirement income, relieving the burden on Social Security as the aged population expands. As with most ESOPs and in contrast to IRAs, the citizen would put up none of his own money. Through the CHA, he would gain access to self-liquidating capital loans at low service charges to buy equity shares. These shares would be expected to recover their purchase price out of future pretax dividends. The loan insurance, with premiums paid out of dividends, would cover the risk that the loan failed to be self-liquidating. “CHA loans could be invested in shares of: 1) the company where the citizen or a family member works, directly or through an ESOP; 2) the companies in which the citizen is a regular customer or supplier, directly or through a CSOP or SSOP; 3) a Citizens Land Bank (CLB) to link the citizen-owner to profits from and control over local land planning and development; 4) a Homeowners Equity Corporation (HEC) whose shareholders are homeowners in danger of losing their homes to foreclosure, or renters seeking to become owners; and 5) a variety of blue-chip growth companies with a track record of profits. “To encourage the issuance of new shares for meeting the financing needs of an enterprise, the double tax on corporate profits would be eliminated for companies that sell full dividend payout, voting shares to CHAs. To secure his economic independence, like homestead exemptions on homes, the citizen would be sheltered from taxes on his CHA accumulations below, for example, $1 million. “To further promote CHAs, a “National Capital Credit Association” (NCCA) would be set up, to do what Fannie Mae and Freddie Mac do in facilitating and securitizing home mortgages. The NCCA, which could be owned and controlled by CHA lenders and citizens, would package insured CHA loans, create software for helping lenders to scrutinize the feasibility of CHA loans, and set uniform standards for CHA insurers, reinsurers, and lenders. “The NCCA and competitors qualified by the Federal Reserve would then bundle and take these securitized CHA loans to the discount window of the regional Federal Reserve Banks. The Federal Reserve bank would treat these insured dividend-backed securities (DBSs) as it currently treats government debt paper, using them as substitute backing for the currency. Then as the Federal Government pays down the national debt, the productive assets of the economy — the real economy — would stand behind the nation’s currency.